Purchasing a leather suit is not a low cost action, always better to study the market a little before. Cheaper jackets (like cheaper blazers and suits) will usually use lower grade synthetic linings in the entire garments. These linings often shred and tear easily, feel really dry and don’t breathe well. These cheap synthetics are often the first things to fall apart over time. Pricier jackets will often have two different linings – one for the body and one for the sleeve. Body linings will often be higher quality synthetic, warmer cottons, sometimes insulated and quilted. Cut and Fit – Because low priced jackets are so cheap, brands have to sell more to make it worthwhile. To do this, they design a jacket that can fit as many people as they can. This means that low priced jackets will be more generously cut, which can be unflattering on a lot of people. Details – General rule in design: More details = more complicated to make = more expensive to produce. High-end jackets will have more interesting details like seams, cuts, pockets, zipper details, etc. Zipper quality – Higher end leather jackets will use heavy-duty, high-quality zippers that can stand up to all the pulling, they’re also buttery smooth to use. My personal favorite high-end zippers are RiRi, and are roughly 10-15x more expensive than standard YKK zippers. The first contemporary-looking style arrived in 1928. A Manhattan raincoat maker, Irving Schott, designed a motorcycle jacket for Harley Davidson. Dubbed the ‘Perfecto’, after his favourite cigar, this leather jacket was built to protect riders from the elements and accidents. During World War II the flight jacket became known as the bomber, and was prized for its warmth having been designed for wear in open cockpits. A center front zipper jacket, traditionally with a band collar, with very minimal design details. Classic racer jacket pockets are zippered. The simplicity of this jacket make it an extremely easy and versatile jacket to wear. Sometimes referred to as a “flight jacket” or “bomber”, the A2 is a originally a military designed pilot’s leather jacket. The center front zipper is often covered by a placket for added protection against the wind. Signature details include ribbed cuffs and hems, along with two large front flap pockets. Traditionally insulated to keep pilots warm at high altitudes, A2s are usually cropped at the hips to make it easy to wear when sitting. Some will often have fur collars, which is a detail from the newer G1 model. Leather Collection is offering the premium quality motorcycle touring leather jackets and semi motorbike leather jackets online for man. Men’s motorcycle jacket defines glory, passion, and durability with improved safety and comfort arrangements. Get your motorcycle jacket at very reasonable rates with 100% money back guarantee. Read more details on leather shirt womens. For an edgier and more gothic lean, try a fencing jacket with its asymmetrical zip and high collar (Rick Owens has made such turtle-necked silhouettes a staple of his collections). Elsewhere, if you want something a little longer, try a fatigue jacket like this belted number from Belstaff. However, there are very few circumstances in which you should you be looking at anything longer than this, unless you want to look like an extra from The Matrix. While pretty much every jacket under the sun has been recreated in leather at this point — from all-American trucker jackets to tailored trench coats — we’d encourage you to go with something versatile. Given how much money you’re likely to invest, you want a piece you can work into your outfits day in, day out. A black leather Perfecto-style jacket will go with pretty much anything you can throw at it, from sweats to suits, making it a great place to start for first-timers. Add some warmth in your quilted leather jacket mens in style with our vast range of quilted leather jackets covering all the domains of fashion leather jackets. The Handcrafted luxurious jacket dominates by its superb quality leather, comfort fitment, and metal accessories at an exceptional price. See extra details at womens leather motorcycle jacket. Those with a thinner shape will benefit from a belted or elasticated waistband, as it will accentuate the shoulders and suggest a broader torso. Conversely, the bulkier among you should avoid anything that will stretch around your contours or make you look more round. By following these tips you should avoid most of the major style crimes committed by leather-sporting novices. Just remember: leather is incredibly difficult to tailor or get altered, so you need a good fit from day one. Always try before you buy and don’t ever order online unless you know you can easily return it — a retailer that offers free shipping and returns would be ideal. Shearling: This is skin from a recently sheared sheep that has been tanned and dressed with the wool left on. It has a suede surface on one side and a clipped fur surface on the other. It can be worn with either surface out. Ostrich: This is usually farmed in South Africa and is distinctive for its pattern of bumps. 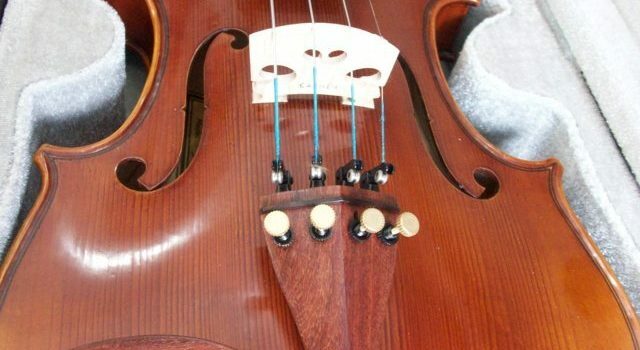 The intricate and specialised production process makes it an expensive material. Ponyskin: This is often a misnomer – the “ponyskin” used by designers is, in reality, more often calfskin. If in doubt, you should check before buying. Having Motorcycle Leather that fits, is incredibly important. Your Leathers must be comfortable, the tighter one will limit your movement, and the loose one fails to keep the armor in place. With the years of experience, we know how to make the perfect fit motorcycle leather garments. Birthday presents ideas : flowers, cosmetics, jewelry, picture frames and more. Send stunning flowers to celebrate any occasion! With classic floral colors including red roses and pink lilies the Rose and Lily Celebration is a wonderful gift to send to a friend or family member for a birthday, get well or anniversary. The flowers are arranged by hand at a local florist shop. The floral artist creates the Rose and Lily bouquet with red roses, pink roses, pink lilies, pink alstroemeria and purple wax flowers. Paired with the flowers is a keepsake clear vase that is wrapped in a decorative ribbon. Measures 14″H by 12″L. Gift ideas : picture frames. Models of picture frames we have on stock : Floating: Instead of making the photograph look as if it is held in place by the frame, when you buy floating picture frames, you will enjoy an optical illusion of the picture actually floating on the wall. This is because it is sandwiched tightly between two pieces of glass that allow you to see through the picture frame to the photograph or art displayed. This is a great choice if you really want to set off the art you’re displaying and if the color of your wall looks great with it as any imperfections in the wall will be instantly visible behind a floating frame. Jewelry: Is your significant other a nature lover or someone who is happiest outdoors? Ring settings with organic elements in their designs such as leaves, vines, and flowers may suit her well. For an active woman, consider a setting that holds the diamond lower to the hand. A bezel setting, or a thin metal band that hugs the diamond all the way around its girdle, is also great for keeping a diamond protected. 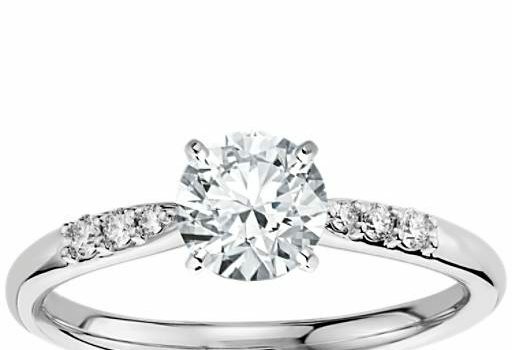 Selecting an engagement ring style may be the hardest part of buying an engagement ring. For guidance, think about the types of clothing and accessories your significant other gravitates towards-this should give you some clues as to whether they’d prefer a ring that’s classic, modern, nature-inspired, glamorous, or some combination of those. Make sure to stay alert to any hints your partner might be dropping! If you two have discussed an engagement, there’s a good chance their preferences are saved to a Pinterest board. To make the decision less stressful, we offer 30 day free returns and exchanges. Send your gift with us to South Korea, including a personalized gift message. Reliable South Korean wide Flower Delivery for All Occasions and Holidays. Fresh From Our Fields, Expertly Designed and Delivered by GiftsKorea Korean Cake. Our goal is to not only provide fresh flowers and quality products but also to offer up a unique mix and style of gifts that will make available to you as a wide variety of selections which are sure to surprise and please your loved ones. With our collective experiences, we believe we understand the kinds of questions you may have regarding the process of sending gifts to Korea and will value the kind of satisfaction you will receive using GiftsKorea.com. Leave a lasting impression on that special someone. Send the Super Sweet Snack Gift Basket today! Overflowing with sweet treats and savory snacks, this unique gift basket will bring a genuine smile to your recipient’s face no matter their age! Please note: contents may vary. Types of picture frames we offer : Floating: Instead of making the photograph look as if it is held in place by the frame, when you buy floating picture frames, you will enjoy an optical illusion of the picture actually floating on the wall. This is because it is sandwiched tightly between two pieces of glass that allow you to see through the picture frame to the photograph or art displayed. This is a great choice if you really want to set off the art you’re displaying and if the color of your wall looks great with it as any imperfections in the wall will be instantly visible behind a floating frame. Display : Hanging frames come with the attached hardware that you will need to hang your picture on the wall. They make it very easy to install a gallery wall or simply to hang up one or two select photographs. It is possible to turn a tabletop picture frame into one that can be hung on the wall if you use the right hardware but it is much easier to simply buy the kind that you want from the beginning. This eliminates any hassle of trying to convert the picture frame and ensures that it will be stable and steady enough to not accidentally come off of the wall. Shape : While not as easy to find as other types of frames are, oval frames are very classy and will really draw attention to the photograph in the frame. They come as both hanging and tabletop frames and are generally a little fancier than other types of frames are. When using these frames, you will have to cut down the photograph that you are going to be displaying. It’s easy to do this by using the included picture in the frame as a guide. Do you print to the acrylic directly or face mount by printing onto paper first then mounting? You’ll find that companies who print directly to the acrylic with a UV printer are able to offer it at a cheaper price (particularly if outsourcing outside the US), so if you don’t mind giving up some color accuracy, vibrancy, and permanence this may be a good option particularly for outdoor spaces and signage where it’s not as critical. The face mount process is more labor-intensive and there aren’t many companies doing it well on a consistent basis. It isn’t an easy process, but the end result is well worth it. See more details at Wooden photo blocks. Materials: There are few things more special than a personalized frame filled with a wonderful picture. These frames have to be custom ordered so you can make sure that they will have the correct spelling that you want but will instantly become a favorite of your recipient. Professional framing needs professional photo printing to really bring it to life. Our professional photo framing products include our stylish acrylic box frames, impactful box photo frames, stand-out floating picture frames, and our range of eleven craftsmen-built photo frames online collection. Choose from our standard range of sizes or we’ll build the professional framing solution you want to your bespoke size requirements.